While living in a big city has so many rewards, sometimes you need a break from the hustle and bustle. There are many destinations offering last-minute getaways from Los Angeles, many close enough to where you can make a road trip and still enjoy a full weekend. You’ll discover one of the best weekend trips from Los Angeles at Big Bear Lake. What kind of getaway do you desire? Are you looking for a dog-friendly weekend getaway from Los Angeles, or for a family getaway? 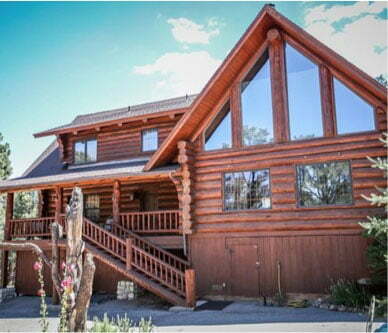 Maybe you want to make a romantic retreat into the mountains. 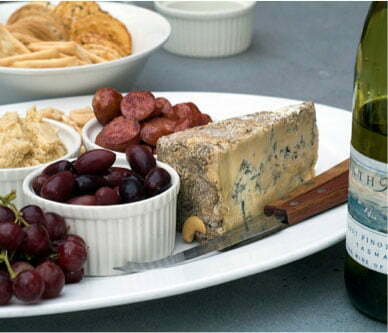 Regardless of what kind of getaway you are looking for, Big Bear Lake has something for everyone. 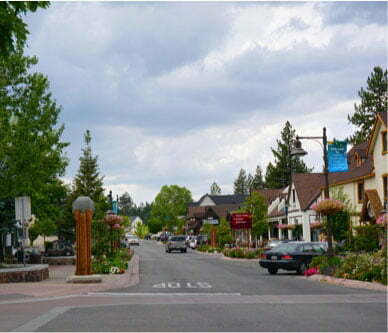 With the serene charm that only a mountain town can offer, Big Bear is a place where you will be able to relax and unwind. 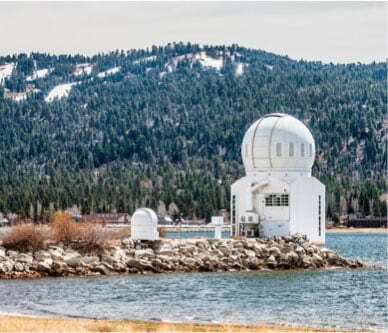 At the same time, Big Bear is a year-round destination brimming with things to do. Have we convinced you yet? See below to discover how to make the trip from Los Angeles to Big Bear! Once you leave Los Angeles, most of the drive is quite scenic, making the (approximately) two hours it takes to get to Big Bear fly by. The drive is fairly easy—take CA-210 out of Los Angeles to San Bernardino, where you’ll get on CA-330 N. After driving through the gorgeous San Bernardino Mountains for a stretch, you’ll merge from CA-330 N onto CA-18, which will take you the rest of the way! As you leave the traffic and noise behind in the city sprawl, the landscape will open up, with wide blue skies above and lovely trees flanking the road. As you grow closer, you’ll see majestic mountains rising in the distance, and before long, you’ll pass through them. At this point, it might be hard to keep your eyes on the road—the views are breathtaking! You’ll feel your worries melt away as the vivid blue skies and deep green evergreen trees replace city buildings. Roll down the window to enjoy the fresh, restorative mountain air and the wind in your hair. Depending on the time of year, there may even be snow blanketing the ground, trees, and mountains! Once you arrive in Big Bear, you can either start exploring the many options available for things to do or settle into your lodgings. And what better way to enjoy a vacation in the mountains than in a luxury cabin? Big Bear Lakefront Cabins features beautiful cabins throughout Big Bear, so whether you’d like to stay right on the lake or enjoy views of the ski slopes at Big Bear Mountain Resort, we’ve got the perfect cabin for you. Our cabins are fully-equipped with everything you need for a comfortable stay. Full-size kitchens, several seating areas for dining and relaxing, plenty of soft linens, and other touches make our cabins your perfect home for the weekend! Many of our cabins also feature hot tubs with spectacular views, flickering fireplaces, and game rooms outfitted with pool tables or wet bars. What are you waiting for? 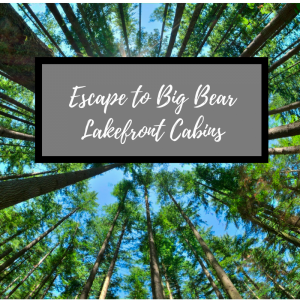 Your relaxing Big Bear weekend getaway from Los Angeles awaits!